I am so thankful to have planned my weight loss surgery with Dheeraj Bojwani and the Forerunners Healthcare. Infact I was a bit hesitant initially to travel to India for thisand I asked so many questions to Dheeraj.But he was always there for me,answering all my queries and helping me everytime.He came to meet me at the Hospital and checked out all the services being provided to me. I was very overwhelmed from the long flight when I reached India, but gradually as things settled down I knew this was the righteous decision. The people I have been treated by, the nursing staff, the domestic staff, everybody without exception have been delightful and I am very conscious of their efforts to make my stay a happy one. My outcome was wonderful and much better than my best expectation. When I return to the USA, when I have the opportunity, I will recommend Forerunners Healthcare to everyone seeking obesity and laparoscopic gastric bypass surgery in India. Marco Schaffer- form USA-who came to Bombay/Mumbai- India for a detailed health check up .He was here with his wife who underwent the Lap Band Surgery for weight loss. Dheeraj-He is the most professional and thorough Gentleman .I am not sure if he ever sleeps. I must have sent him 100 emails in a month about my planning and my wifes surgery and all the answers were replied back within hours, sometimes within minutes. I have never seen such prompt and impeccable support for any service. 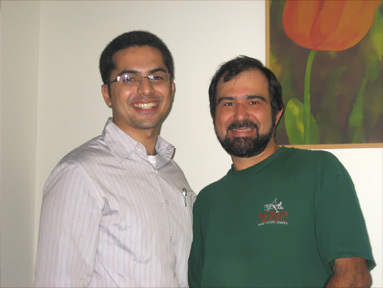 I am sure Forerunners Healthcare has a very bright future with Dheeraj Bojwani. My all best wishes with them. Testimonies of Gastric Bypass Surgery India, Experiences of Weight Loss Surgery India, Testimonies of Lap Band Surgery Bangalore, Experiences of Gastric Bypass Surgery Hyderabad, Testimonies of USA Patient for Gastric Bypass Surgery Bangalore, Experiences of USA patient for of Lap Band Surgery Hyderabad, Testimonies of USA patient for Gastric Bypass Surgery Bangalore India, Experiences of USA Patient for Lap Band Surgery Hyderabad India.